Page 108 – Chapter 4: Escape from the City of Bone 9: Crown of Horns. The 9th and final collected graphic novel edition, which delivers a wonderful end to the hilarious and epic Bone comic series by Jeff Smith. A fierece battle happens at Atheia where Granma Ben leads the people to defend their lives. 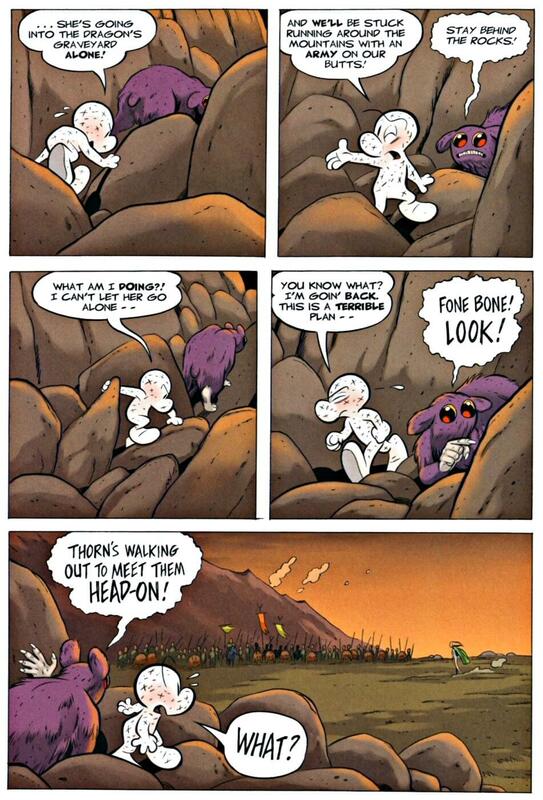 Meanwhile, Fone Bone and Thorn has to get behind the enemy line to find the Crown of Horns. They will find a much bigger enemy.